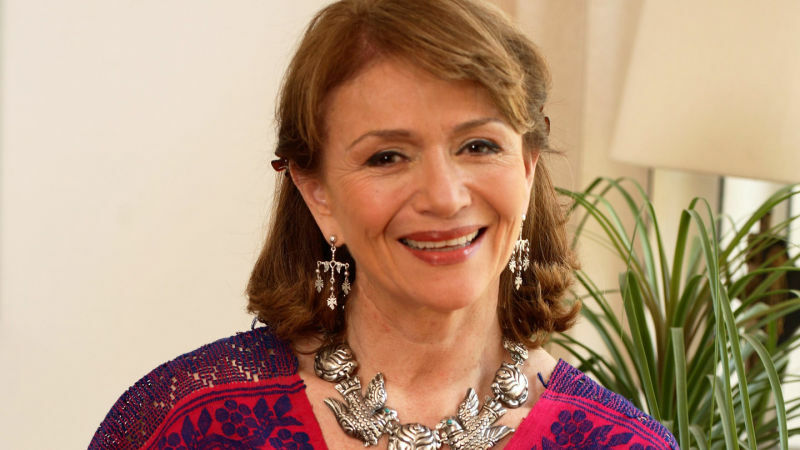 Mexico City-based chef, restaurateur and TV personality Margarita Carrillo Arronte grew up in a household where life centered around the kitchen, where one dressed up for family meals and the smell of roasting peppers or cooking turkeys filled the air. Carrillo Arronte's new book, "Mexico: The Cookbook," showcases Mexico's varied regional cuisine and builds on her mission for Mexican food to be recognized as diverse and sophisticated. Carrillo Arronte played a key role in the decades-long effort to have UNESCO honor traditional Mexican cuisine as culturally significant. Preheat the oven to 350ªF (180ªC/Gas Mark 4). Place the fillets in a shallow dish. Add the orange juice and oregano and season with salt and pepper. Put the achiote and vinegar in a small bowl, and stir until dissolved. Pour the mixture over the fish, cover with plastic wrap (clingfilm), and marinate in the refrigerator for 1 hour. Grease a large ovenproof dish with some of the lard or butter. Remove the fish from the marinade and place the fish opened out in the dish. Spread with the remaining lard, then put the onion, tomatoes, bay leaves, chile, and bay leaves, chile, and bell peppers on top. Wrap the fish with the banana leaf, then cover with aluminium foil and bake in the oven for 25 minutes or until the fish is cooked but not dry. Serve with plantains and refried beans. Put the tomatoes into a food processor or blender and process to a puree. Heat the oil in a large saucepan. Add the chicken, pureed tomatoes, garlic, and parsley and cook over medium heat, turning the chicken pieces occasionally, for 10-15 minutes. Add the chorizo and ham and cook for an additional 5 minutes, then pour in the sherry and cook for a few minutes until the sherry has mostly evaporated. Add the sugar, cloves, cinnamon, pepper, nutmeg, raisins, and almonds and season. Reduce the heat and simmer for 15 minutes, until the chicken is cooked through and the cooking liquid has thickened. Remove the pan from the heat. Put a piece of chicken on each of eight individual plates, spoon over the sauce, and serve immediately with rice or salad.